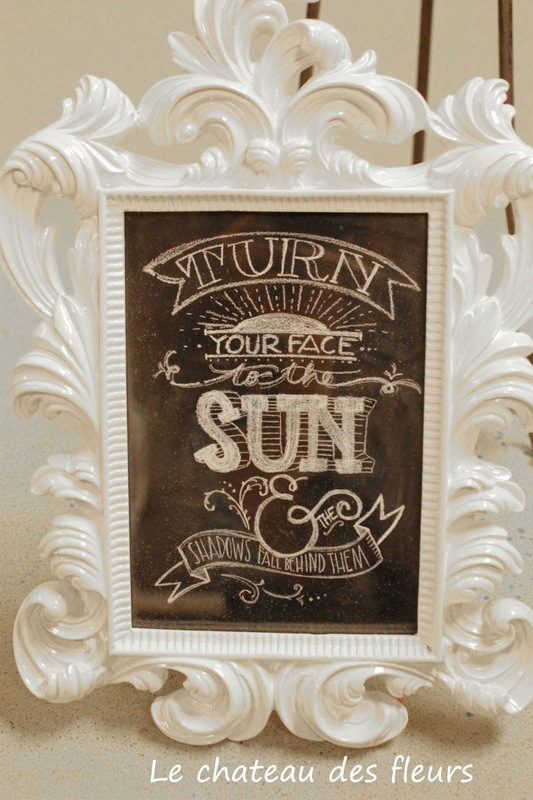 I have been introduced to Rhonna Designs few weeks ago and I was so exited when I learn she was giving a chalkboard class at Thanksgiving point, Lehi. Utah. I signed up very quick and my kids thought I was nuts to be so happy about a "class". Absolutly amazing class, where Rhonna teaches you step by step how to make beautiful chalkboard art. 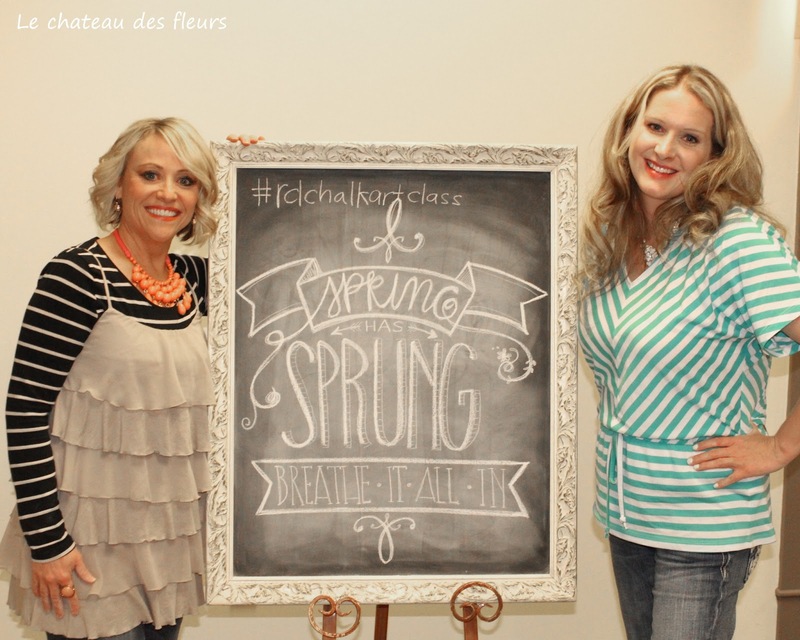 "Spring has sprung, breathe it all in"
Below are Rhonna's creations. She is such an inspiration and the class was so much fun. I left happy about my new find talent and ideas rolling in my head. "True friends are like the sun they always shine"
"Turn your face to the sun and the shadows fall behind them"
I came home and my daughter jumped on the chalk obsession and was exited also while I was teaching her the basics. She made her copy of my "spring has sprung" art on the side walk. What fun! I have two huge chalkboards in our house. They're looking pretty naked right now. I'll have to do something special for Resurrection Sunday. Glad your daughter is inspired by this too! So cute of you and it really came out nice! I have two chalkboards, and the problem I have is that my daughter filled them, and won't let anyone erase. These look so cool. I'm gonna make one. Hope you have a great day. 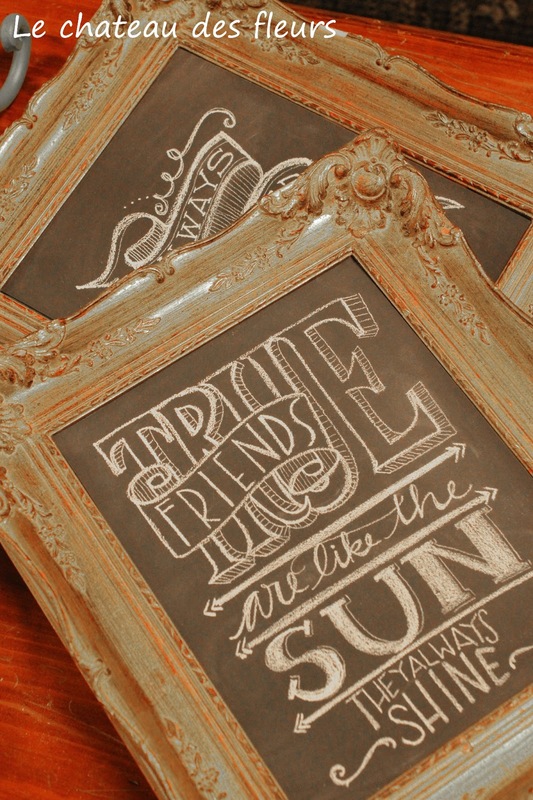 Oh you know I love Chalkboard art too. Love your work. Thanks for sharing!